The need for a beach body sends college students flocking to gyms and tanning salons every spring. Garrett Remson, a trainer at Max Fitness, said spring is one of the busiest times of year for gyms as students prepare for Spring Break. “Everybody wants to get in bikini shape,” he said. In 1936, swimmers from Colgate University traveled to Fort Lauderdale to train in the first Olympic-sized pool in Florida. In 1938, the city initiated the College Coaches’ Swim Forum at the Casino Pool, attracting more than 300 swimmers. The yearly raucousness college students know as Spring Break ensued. 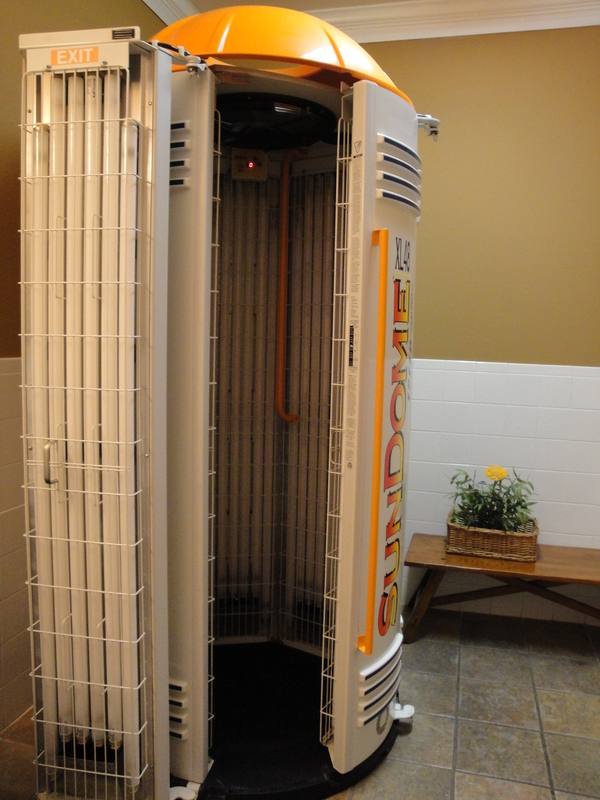 Lyndsey Tassin, assistant spa director at Planet Beach on Highland Road, said students frequent tanning beds in March and April to get a healthy glow for Spring Break. Some apartment complexes offer free gym and tanning services to their residents. Christina Spencer, assistant general manager at University Crescent, said the complex provides these amenities to keep residents happy. “Most college students, at least the ones we tend to have, like to lay out at the pool,” Spencer said. “When it’s cold outside, they like to tan. Instead of having to pay for it, why not have it here? Some fitness clubs, like Max Fitness, also combine the services to provide guests with a convenient way to get beach-ready. Remson said he has not noticed guests use one service more than the other, but that guests tend to use both the gym and tanning beds. “They can just go to one place for GTL,” he said, referring to the Gym-Tan-Laundry lifestyle of “Jersey Shore” cast members. Tassin said people tan to boost their confidence, increase their serotonin and obtain a clearer complexion. Remson said guests work out to get in better shape and feel better about themselves, but he does not understand why people use tanning beds. Skin cancer, the most common form of cancer in the United States, is primarily caused by overexposure to sunlight or other ultraviolet radiation. Skin cancers appear as moles that are abnormal in size, shape, color, texture and other variables. Skin cancer has a high cure rate if treated early, but can prove fatal if ignored. Tassin said she thinks tanning beds are safe as long as they are visited in moderation. Tan skin was not considered fashionable until the late-nineteenth century when the poor moved from fields to factories and the rich began to value outdoor sport. John Harvey Kellogg invented the Incandescent Light Bath to treat skin conditions. Artificial sun lamps gained popularity in the early 1900s. Coco Chanel popularized golden skin even more in 1923 after getting “accidentally” tan on a yacht. Tanned women appeared in the British Vogue for the first time in 1927. In 1960, Coppertone’s Quick Tan made orange skin achievable in hours. The lotion revolutionized tanning and served as a prototype for the tinting creams on the market today. 5 years ago this wonderful woman joined the gym I was at, and I found my long lost sister. Cheers to @mcurt23 , the birthday girl and my beautiful bestie. It never matters how many times we move or how many miles are between us; we always pick up where we left off.